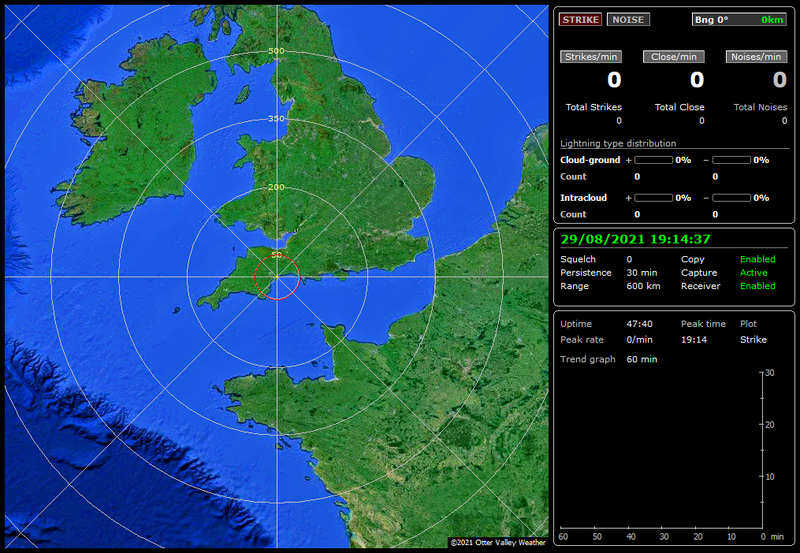 Live lightning detection strikes on a map from a Boltek Stormtracker Lightning Detector. This site differentiates between cloud to ground strikes and cloud to cloud strikes. The sferics are recorded onto a map as they occur. Thunderstorms, cumulonimbus; lightning strikes in real-time.